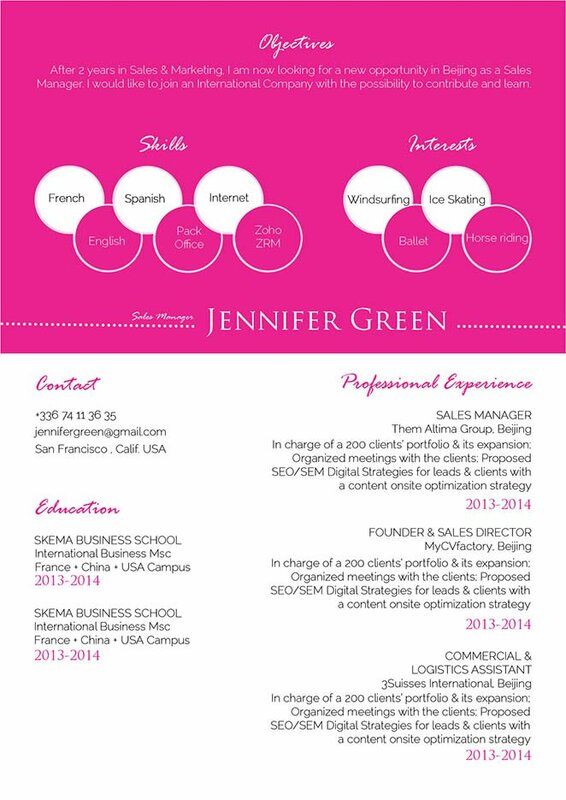 So efficient & design at the same time, this resume highlights perfectly skills and strong points. CV template to download "Affectionate"
The Affectionate Resume has one great design that works well for any job application! This CV template features a feminine selection colors, styles and texts that mix together to create an eye-catching and functional design ideal for applicants who have a strong set of qualifications as all the key content is made readily accessible to your potential employer! This is further added upon by the color scheme which adds a dash of originality, which is sure to make you stand out! How can you make a resume more effective? —Give it a clear and well-structured lay out. 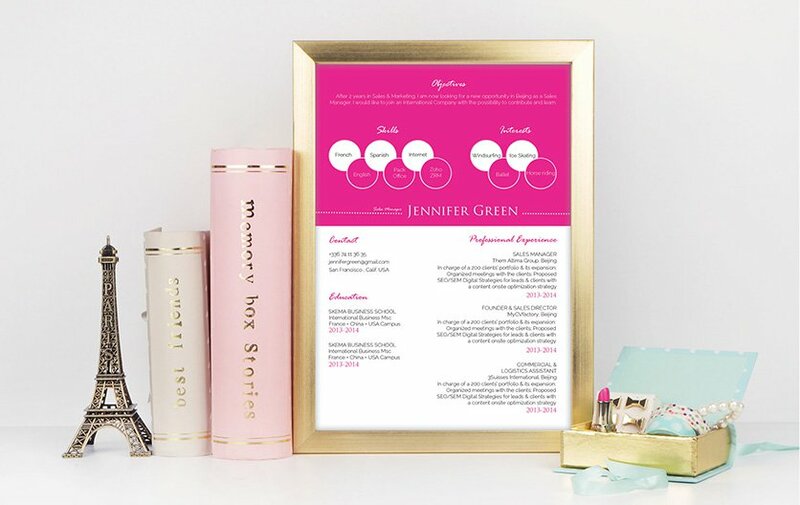 A resume designed this way is more likely to impress potential employers, get the attention of recruiters, and get you hired faster! Since most resume are scanned for about 10-30 seconds, it’s essential that you place all your content within a well-structured lay out. To achieve this, use simple, yet professional font such as Serif or Calibri, select a font size between 11 and 12, and use bold/italic font faces to help guide the reader along your resume. Using graphics and bullets will bring emphasis on the key part of your CV, while using wide-margins, headings, and subheadings give your resume a logical format while also highlighting the key sections of your resume.